We at GSATi take pride in our staff and the hard work they put forth for us and our clients on a daily basis. To show our appreciation, we would like to present to you our new blog, #GSATiFamily: Staff in Review, a peek into the lives and interests of our staff. This series highlights the parts of our staff that makes them exactly who they are: dedicated, intriguing individuals we are proud to call family. 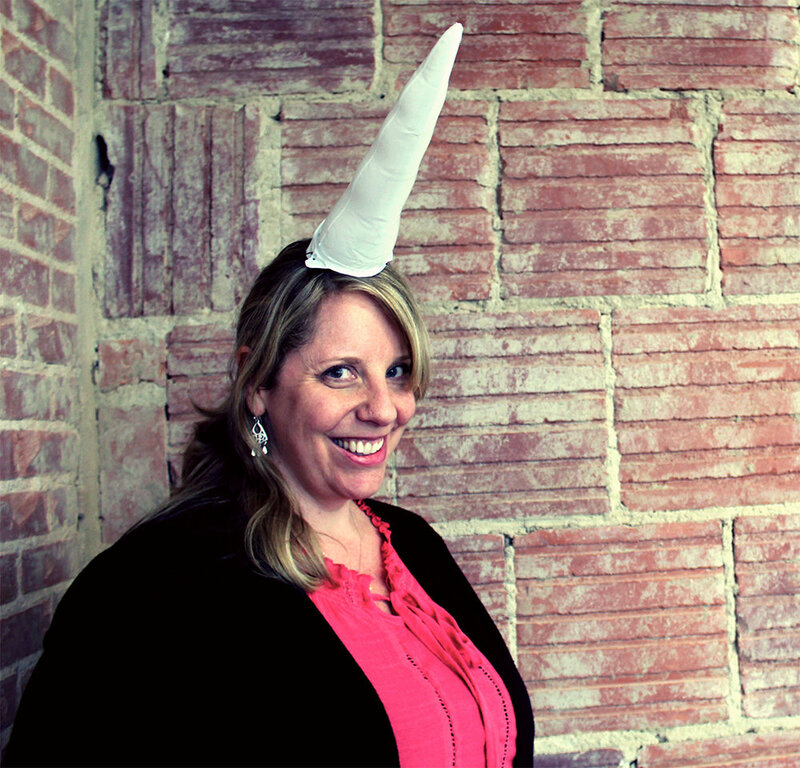 Read on and discover this week’s featured staff member and Resident Unicorn: Carrie Sharma, Business Services Manager. DL: Name and position with GSATi? CS: Carrie Sharma, Business Services Manager. DL:And how long have you worked with GSATi? CS: A little over 1 year! DL: That’s not as long as I had thought! Where did you receive your education and/or experience in our field? CS: I have an educational background in International Business but was roped into recruited into the IT field several years ago on a ERP project at a former company. That’s where I met most of the GSATi group actually! DL: That’s so awesome! What would you consider your greatest accomplishment during your time as a member of the GSATi Family? CS: Going live with my first client site in April of last year. DL: Richard talked about that same situation for his greatest moment as well! I know that was a big deal for us as a company, so props to you. So, what’s the most fun thing you have done at or with GSATi? CS: Probably doing the office dares during our last company event. We broke into teams and had to do a series of Challenges to earn points – the challenges were a little crazy so it was really fun. DL: That seems to be everyone’s favorite memory these days! I can’t blame you though. We had an awesome time. What about your at-home family? Any pets or kids? CS: I have a husband of 10 years, 2 little ones - 4 and 6 years old and a Greyhound named Taj, he’s 11. DL: Oh, how fun! I bet you guys have a great time with that pup! What about your favorite local restaurant or business on the square that you like to visit when you’re here in town? CS: This is a hard one, there are so many good places to visit on the square! For restaurant, I’d say either LSA burger or Pickled Carrot. For a cool store, I love Atomic Candy, so many awesome things in that place! DL: Oh man, all of those are great choices! Alright, so this question is a bit more for our developers, but I must ask your preference; PHP or .NET and why? DL: Right on! Okay, two more questions. First of last, what's your fondest office memory since you've been here? CS: Probably receiving my inflatable Unicorn Horn from one of our .NET developers, Carole. A reminder that anything is possible in the magical world of development haha! DL: That's such a great gift! I think we all need to be reminded that we're all unicorns in our own way ;). Alright, last question: Why choose GSATi? CS: GSATi is a great place to work. We are like family here and have lots of fun! DL: I couldn’t agree more! We are so delighted and proud to call Carrie a member of the #GSATiFamily. For staff profiles and more of what we offer here at GSATi, visit www.gsati.com and become a member of the #GSATiFamily today. Friends and clients welcome.